Well..this is crunch week people. We move onto our new home this coming weekend and I need to pack this house up! That means…my posts may be a little light the next couple weeks. 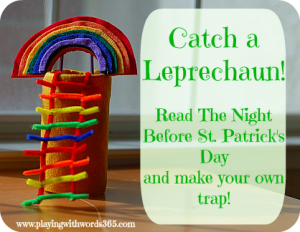 In the mean time….I know St. Patrick’s day is JUST around the corner! 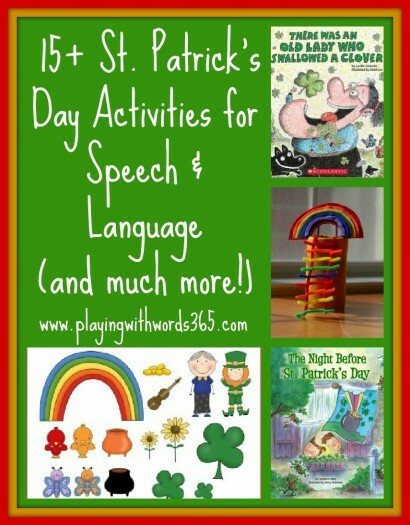 So I have gathered up over 15 St. Patrick’s Day Activities for speech and language for you all and have them HERE! And if that isn’t enough, I’ve also linked up some further inspiration for you! 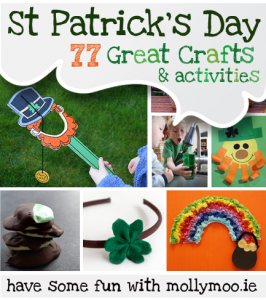 I also wrote up a post last year of some fun St. Patrick’s day crafts and activities, you can check out that post HERE. 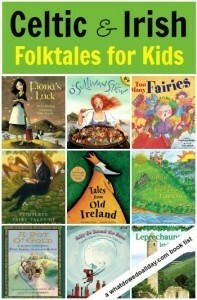 In addition to my three four activities up there (I forgot my story telling necklace! Oops! 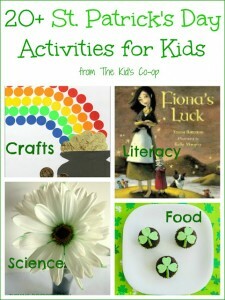 ), here are 14 MORE activities for you from around the speech web! Some are free activities, and some are not but check them all out! Looking for more inspiration? 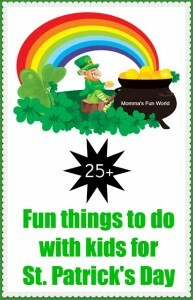 Check out these round ups of activities to go along with St, Patrick’s day. You may find some that will be great for therapy or just for F U N! Just click on the image to go to the post. 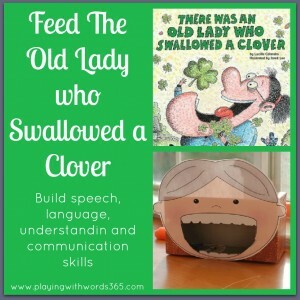 If you are a fellow SLP and haven’t had a chance yet, please leave your tips for eliciting speech sounds. You can do so HERE. I am hoping to get that series of posts up once we get moved and things settle down a bit! Happy March! Spring is on its way! Thanks for the shout out! 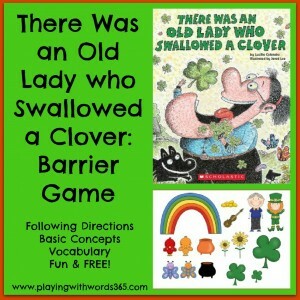 This is a great post with SO many ideas!!! 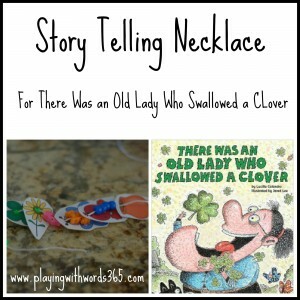 I used your story retelling necklace idea in my “mod” language class, last week. It was a HUGE hit. Thank you so much!